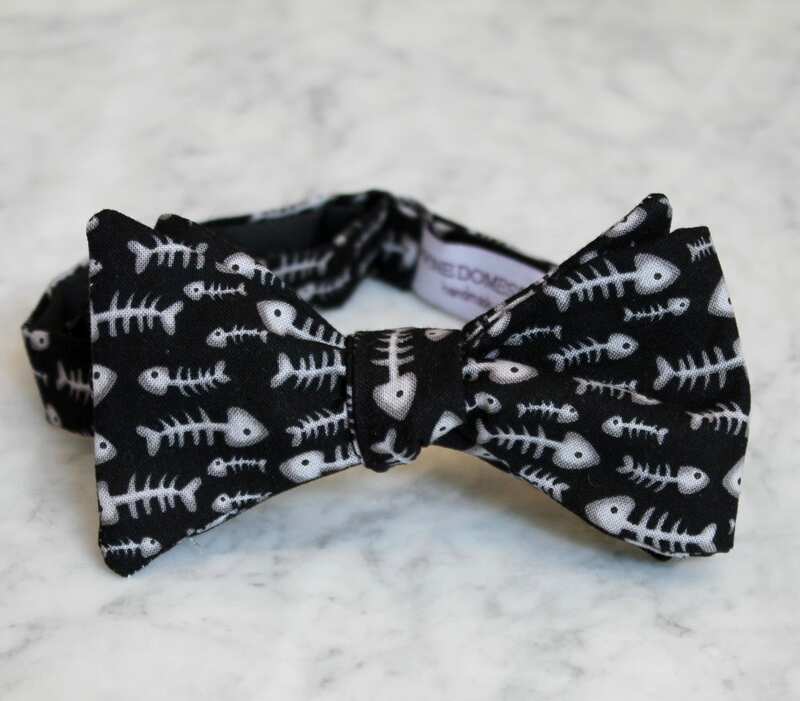 This gorgeous black bow tie with white and gray fish bones makes a statement. 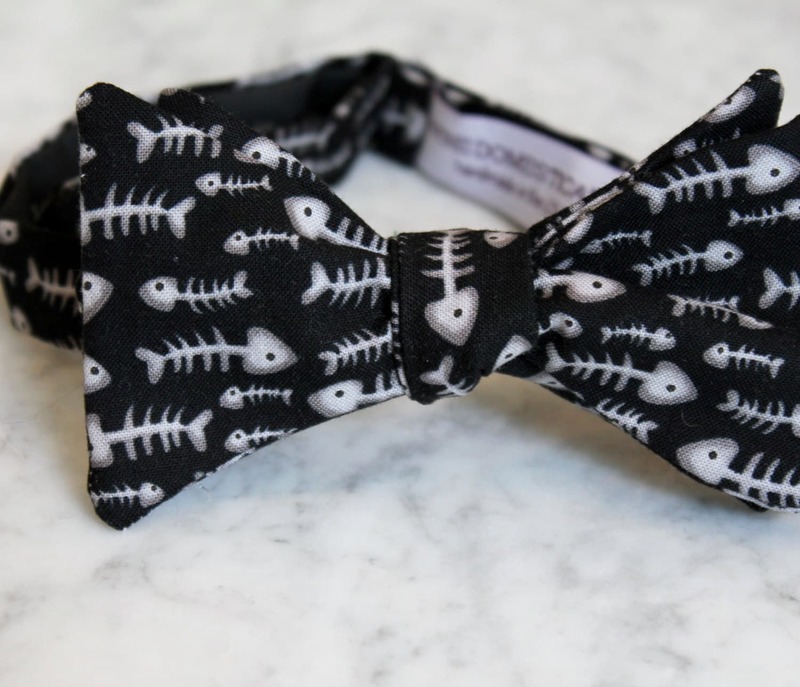 Everyone should have a funky black tie. Standard size fits 6 to 10 - please leave a note at checkout if you would prefer a different size. 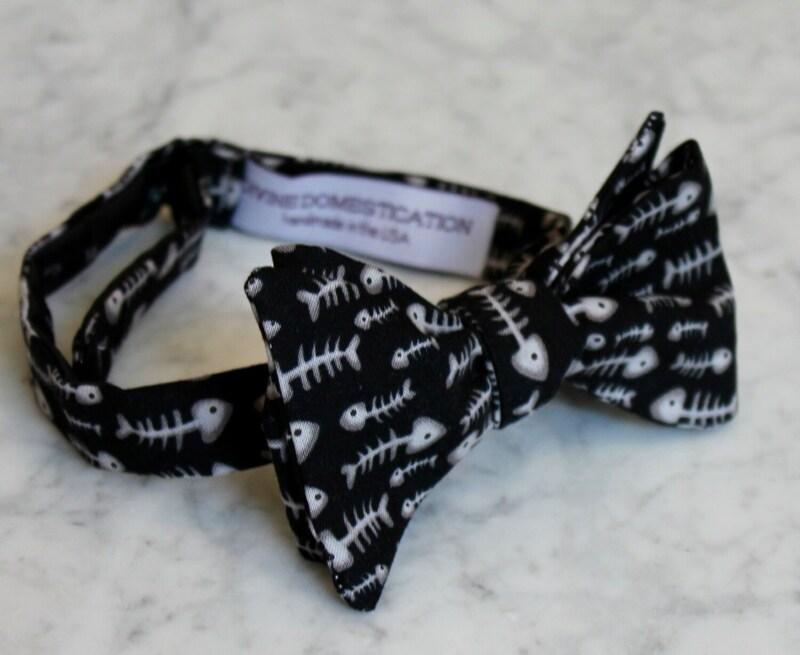 Also available in a custom fit self tying bow tie. Just ask.